The Teatro Macedonio Alcalá is named in honor of Macedonio Alcalá Prieto, a Mexican violinist, pianist and songwriter born in the City of Oaxaca in 1831. 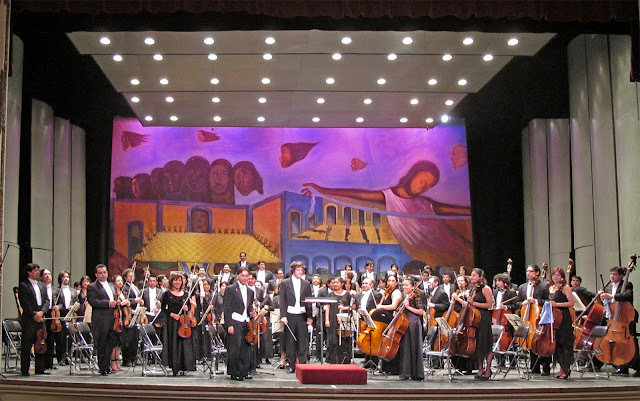 He is remembered today for his waltz, "Dios nunca muere" (God Never Dies), which is considered the anthem of Oaxaca. Construction of the theater began in 1903, was completed in August 1909, and opened on September 5th of that year. 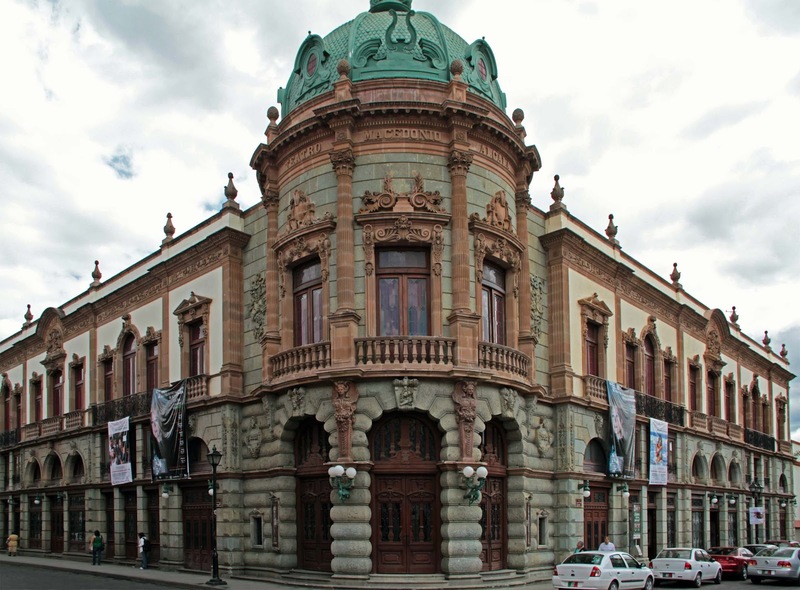 It originally operated as a theater and casino, called Luis Mier y Teran. Over the last 100 years the teatro was the boxing and wrestling area, casino, Government inauguration hall as well as movie theatre. 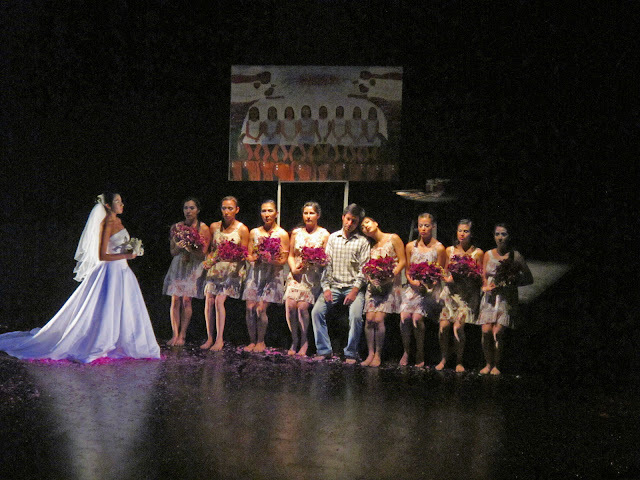 The teatro can accommodate a total of 800. In 1999 an earthquake damaged the theatre; restoration began in 2000. Today the teatro hosts the symphony and other music, dance programs, operas, and other civic functions. The main entrance is located on the corner of Independencia and Armenta y Lopez and divides two symmetrical facades. Inside, the foyer is done in the French character, much in the style of Louis XV. 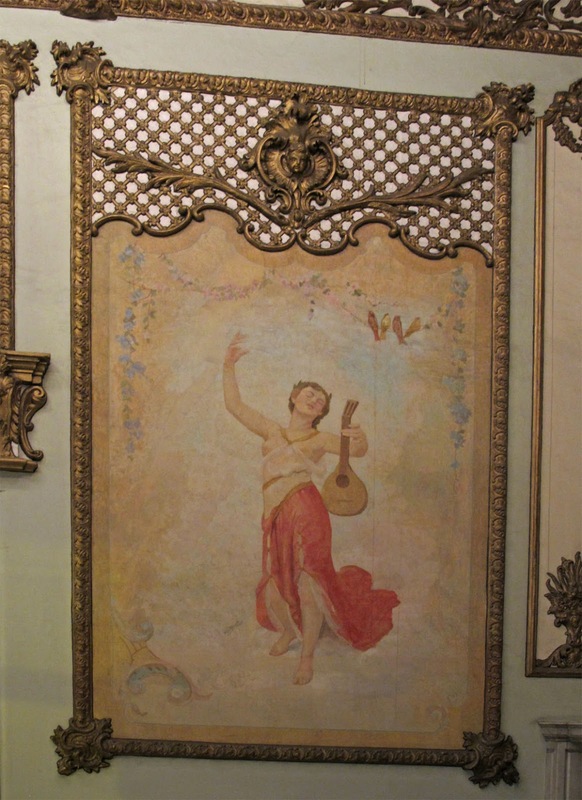 On the ceiling is an allegory of the Temple of Art where the “La Fama” and the “El Premio” are showcased. A white marble staircase leads to the main hall done in imperial style shaped in a horseshoe with six levels: the orchestra, orchestra seating, first balcony, second balcony, gallery and paradise. 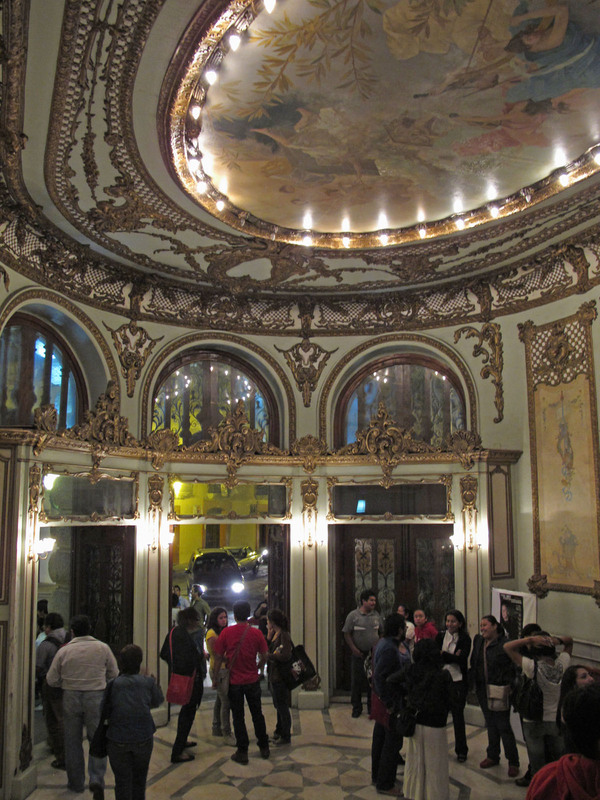 Around the ceiling starting at the stage there is a bust of General Luis Mier y Teran for whom the teatro was first named. From this point circulating outward are nine medallions containing portraits of famous artists and writers: Victor Hugo, Calderon de la Barca, G. Verdi, Juan Ruiz de Alarcón, Shakespeare, Racine, Wagner, Beethoven and Moliere. 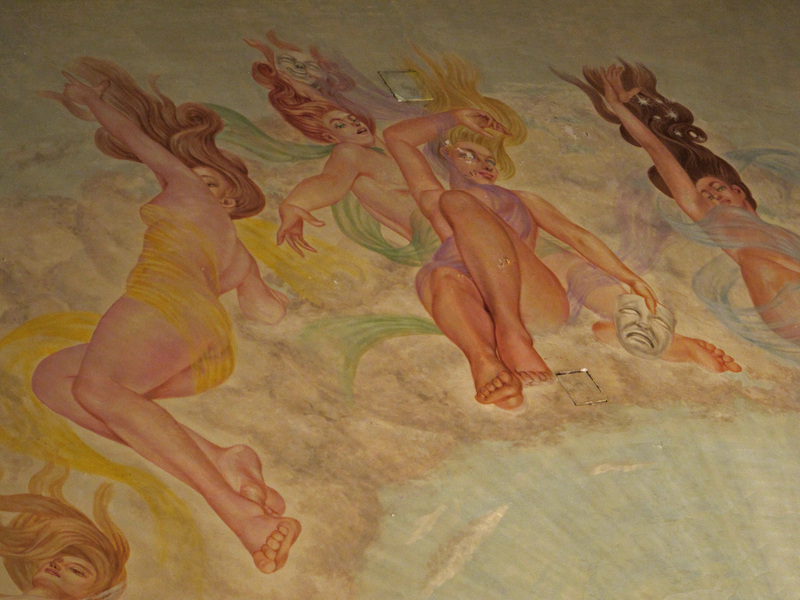 On the ceiling itself are the nine muses. The curtain has pictorial composition of the Parthenon and Mount Parnassus. In the background are the clouds and Apollo’s carriage drawn by four horses.